Precision Made Cartridges (PMC) has earned a reputation in the US for providing high quality ammunition at affordable prices. 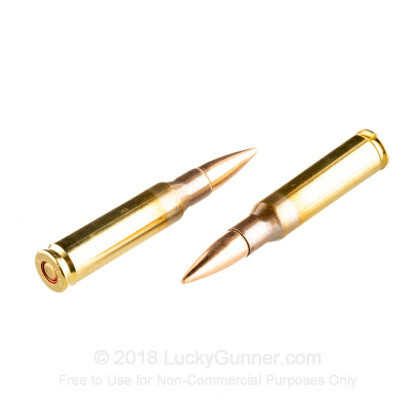 These 7.62x51 NATO rounds are loaded in new production brass cases that are boxer primed and re-loadable. 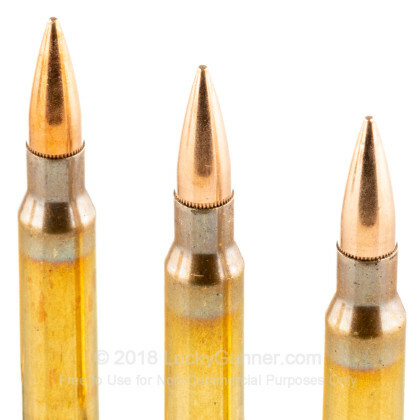 Each projectile in this case of 500 is a 147 Grain Full Metal Jacket Boat Tail (FMJBT) that achieves a muzzle velocity of 2,800 feet per second. PMC loads these cartridges to strict MIL SPEC tolerances. PMC ammunition is manufactured in South Korea under the Poonsang Corporation. Poonsang manufactures small arms ammunition as well as large howitzer rounds for the South Korean military. Shooters care about the quality and reliability of their ammo. 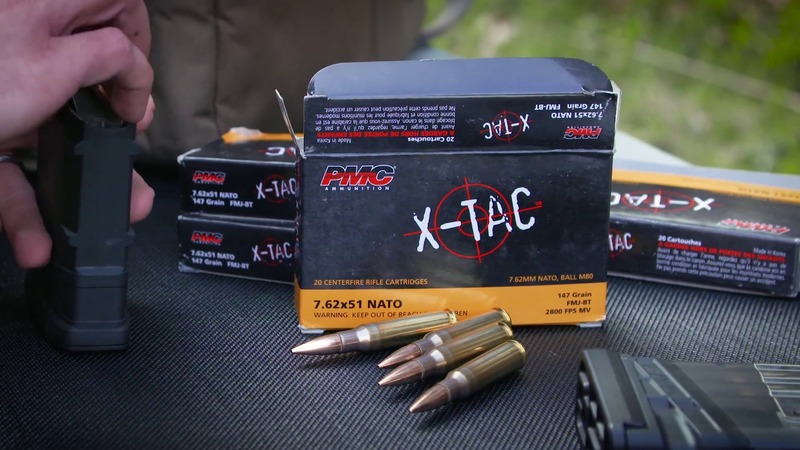 PMC manufactures all of their loading components from raw materials so they do not have to rely on other companies products to produce their ammo. As a result they control the quality of every step in the manufacturing process. The end result is very consistent ammunition that is available at affordable prices. 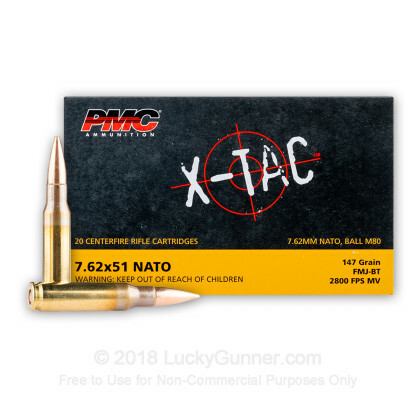 Pick up a case of this MIL SPEC 7.62x51 NATO ammunition and see why PMC is a world leader in ammunition industry. 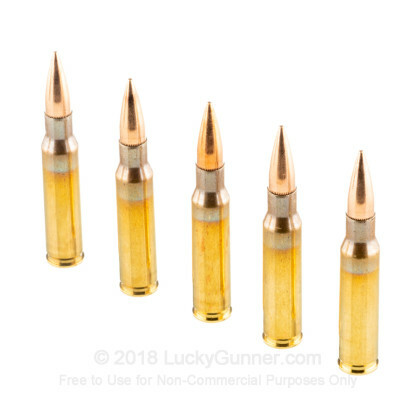 We don't have any reviews yet for this particular .308 (7.62X51) ammo from PMC. 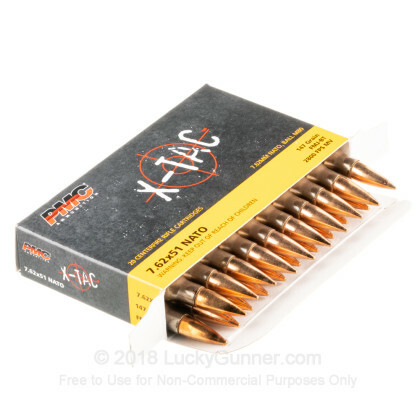 If you'd like to be the first to review this particular .308 (7.62X51) ammo from PMC, fill out the form below. 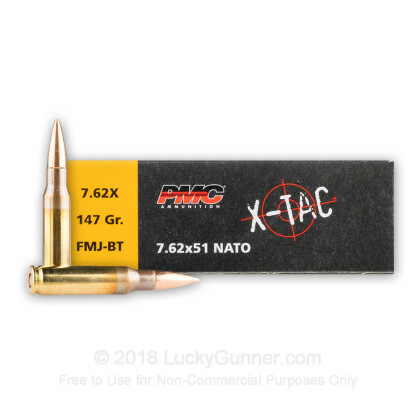 We also have this 7.62x51mm - 147 Grain FMJ BT - PMC X-Tac - 20 Rounds ammo in stock in a smaller quantity.